It’s been a good while since I posted on this blog. This year has been filled with a lot of change. Some has been good. Some has been bad. That said, I feel like I am finally getting back to a place where I can focus on my work. Two months ago, my grandma was diagnosed with lung cancer. We spent three stressful weeks supporting her through it as best we could. Ultimately, we lost her and I know I will be grieving for a really long time. That said, we did have some wonderful moments during those last few weeks. We laughed together as she got her first pedicure. We celebrated my birthday in her hospital room along with her favorite cake. We were continually reminded of how much she was loved by her friends and family. She lived a happy life. My grandma was one of my biggest supporters over the years and looking back she taught me something very special. She lived a hard life, but she always found a way to make things work out. She also lived life with her heart on her sleeve… and a huge smile on her face. Every day. I only hope that I can be half the person she was. Life does go on though. Just before grandma’s diagnosis, we found out I am pregnant with our second child. My current project is a big one… converting our office into the nursery. Because I work from home, this was originally a huge dilemma. We finally ended up purchasing an armoire for our master bedroom, which I am converting into my new workspace. I couldn’t be happier with how it is coming together. 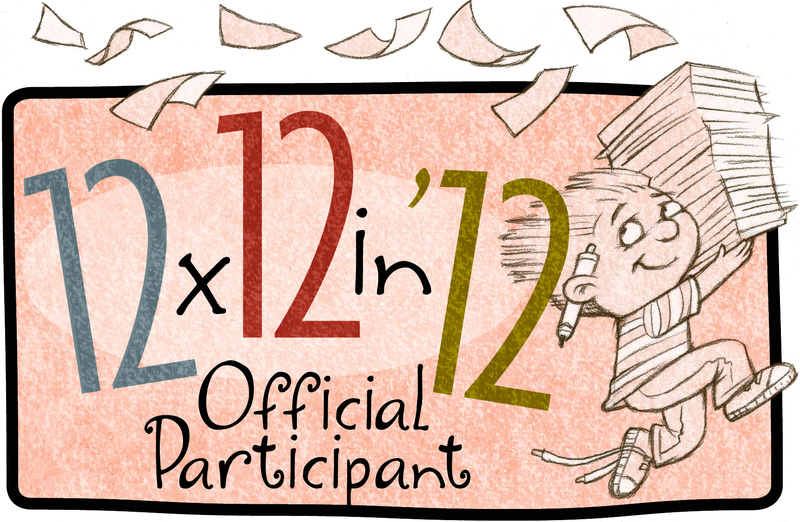 I am registered to attend the Kansas and Missouri SCBWI conferences over the next couple of weekends. They are coming at the perfect time and hopefully will be just what I need to recharge my batteries and get back to work. I have a few projects waiting for me and I’m looking forward to focusing on myself and my craft again. This time I will be starting off with an even bigger smile on my face, knowing that my grandma is still cheering me on from above. Probably from her “cloud car” … according to my son anyways.